Every player and every team works ultimately for one single thing that is lifting the World Cup that comes once every four years. Every team does all kinds of changes to the squad and even to their coaching panel in order to find perfect mix to have a shot at the World Cup. 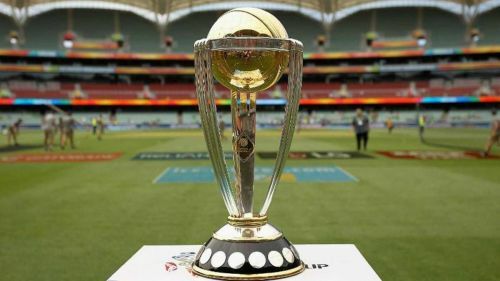 Every single cricket player sweets it out in the nets and practices hard prepares himself/ herself waiting for an opportunity to win his or her team the World Cup, especially every player dreams to give away their best in the World Cup finals. Performing at the bigger stage like the World Cup and especially in a World Cup finals needs a lot of character, temperament with the ability to perform. Here are the top five performances of the World Cup finals. 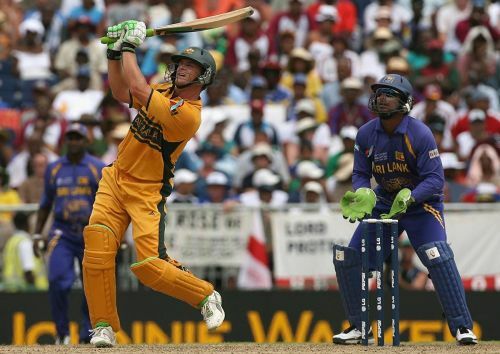 The left-handed wicketkeeper-batsman from Australia who opens the batting for them in the limited overs scored a blistering 149(104) in 2007 World Cup finals. It was a rain-affected encounter and the match was reduced to 38 overs a side. He just ran past Sri Lanka's bowling attack single-handedly and took his team to a massive total of 281 in 38 overs. The beauty about this knock was that every other batsman found it difficult to score runs quickly and freely but Gilchrist looked like he was batting on a completely different wicket altogether. He smashed 8 sixes and 13 fours in his knock of 149(104). The reduction in the number of overs due to rain gave Gilchrist the free license to play his natural game and that worked. After Australia's Innings, the rain-interrupted again and Sri Lanka's innings was reduced to 36 overs and were set a target of 269 and eventually Sri Lanka came short by 53 runs handing Australia their 4th World Cup title. Gilchrist finished his international limited overs career with 9619 runs at an average of 36 and he had a strike rate of 96.94 in his career.